BC Studio of NYC, has excellent natural atmospheric window light as well as a full range of LED, and fluorescent fixtures, included for FREE in every rental. This includes five, 24″x 24″state-of-the-art LED soft lights, called Fill-Lites. 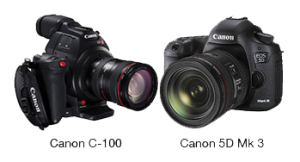 See below for a complete list of complimentary lights and grip equipment, as well as camera and sound equipment for rental. includes basic two-channel audio, one camera operator and a video utility for only $350/hr, including studio and lights! Teleprompter and operator $80/hr. min. 4 hours. Director of Photography, Cameraman, Lighting director, Gaffer/electrician, Makeup & hair, P.A. We have a full on-site edit suite, and can test and key your footage immediately. 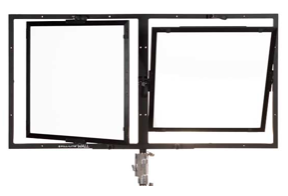 BC Studio has FIVE Fill-Lites: 2’x 2′, modular wrap-around soft light, TLCI rating of 95. BC is the only video studio on the East Coast to offer these beautiful units FREE as part of our lighting package. These lights were used on a recent Bravo event for Real Housewives. Lit only by Fill-Lite units. The quality of the light is astounding, dubbed by my crew “the lady pleaser”, great wrap and essentially the quality of a soft light thru 216 (without the 216).